Your heart tells you to leap on him and grab his neck. Somehow you manage to take a deep breath and count till 10. You smile (it hurts) and say “Neville, thank you for letting me know”. What Neville has done is to voluntarily communicate to you a problem, a failure and warning for further calamity – all arguably due to his own doing. He may have come over to you a couple of days earlier, but he still came and told you rather than you finding out the hard way (say, the VP telling you!). The worst response would have been to grab Neville by his neck! Because while you may be where you are because of Neville, the key is that he proactively communicated to you the problem. He was able to take the decision of giving the bad news to his boss. He took the plunge of getting up from his seat and walking to your office, and delivering it despite the expressions on your face. The process is more important than the situation. The behavior of Neville communicating a problem in advance is vastly more important and effective than Neville’s shortcomings in his work. The consequences of him not communicating are much more than he communicating late. You are now at-least aware of the problem and can deal with it (over the weekend!). Growing old is mandatory; growing up is optional. A key indicator of you as a manager growing up is your ability to start differentiating between seemingly same or overlapping things – for example, the process and a situation. Process lies above the situation. While the situation and its causes need to be addressed (even if it involves putting Neville in community service), but right now, it’s the process behaviors that are important than situational responses. If you as a manager react emotionally to the situation (very natural indeed) you are essentially discouraging the process behaviors in future. And that is fundamentally worse! This differentiations between the process and situation is a fundamental one for managers to move to next level. It forces them to evaluate things at two levels – a situational one with associated emotions, the other a higher abstract level with a longer perspective. This entry was posted in Knowledge Work, Management and tagged Organizations. Bookmark the permalink. Nicely written Ather, good stuff as always. I also find myself trying to look for the good in a situation rather than the bad. One thing that I will add to what you have already said is that a lot of us tend to focus on how the process can be improved without thinking about the opposite situation (I am definitely guilty of it). We do not celebrate and truly capitalize on the how a process actually worked successfully. We get so caught up in the celebration of the moment that the true learning of a process that is setup correctly is never advertised or brought out in contrast. What worked correctly for us? How can it be improved? how can it be dispersed through the rest of the organization and then eventually how can it be turned into a feedback look for talent development and mentoring opportunities. Thanks Adnan. Good value addition. What you are saying overlaps with culture of Process Improvement in an organization. Good organizations are always on the lookout for improvement. They know that there is no such thing as status quo. Either you keep improving or you deteriorate. 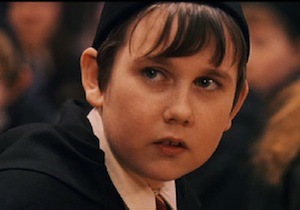 And it was Neville’s 10 points that made Gryffindor win the house cap in the first year! Thanks for the comments. Very useful value addition. You are right – never let perfect be the enemy of good and get the low-hanging fruits when you can. I was focusing more in a context when processes are defined and in-place. Once that is the case, then the situation vs process discussion comes in. The primary point is that you did the hard streamlining the things, now you should not destroy that by emotional situational responses. You may solve the situation but you will fail in the long run. Two more perspectives that come to my mind reading your comment. One, you are right that you should not try to start designing a car if you have to walk a few minutes ‘right now’. However, if there is a need for ‘walking a few minutes’, you need to evaluate whether you will have to do it everyday? Is it one-time or recurrent? Is this just an exception or part of a bigger problem? If so, while I may solve the temporary situation, I need to evaluate things at a highest level and see what can I do for future. As Einstein said, problems cannot be solved at the same level they were created. Same is true for decisions – Drucker said that decision on a situation should be taken at a higher level than the situation (is this situation bound to repeat? I am doing firefighting or should I solve the source?). The second perspective is the urgent vs important debate – as Stephen Covey’s famous 4 quadrant model of how to prioritize. In summary, he suggested that things that are important and not urgent and the highest priority ones. Although that has a bigger scope than what I wrote in this post, the idea is that situation may be ‘urgent’ while process is ‘important’. I also wrote a post “Is Process a bad thing”, which discusses what to address through a process. Process does not indicate delegating our thinking and creativity to an external general system.